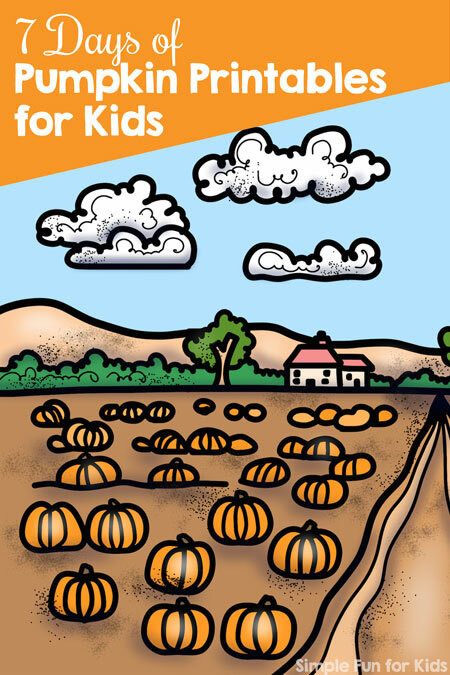 Welcome to day 1 of the 7 Days of Pumpkin Printables for Kids series! 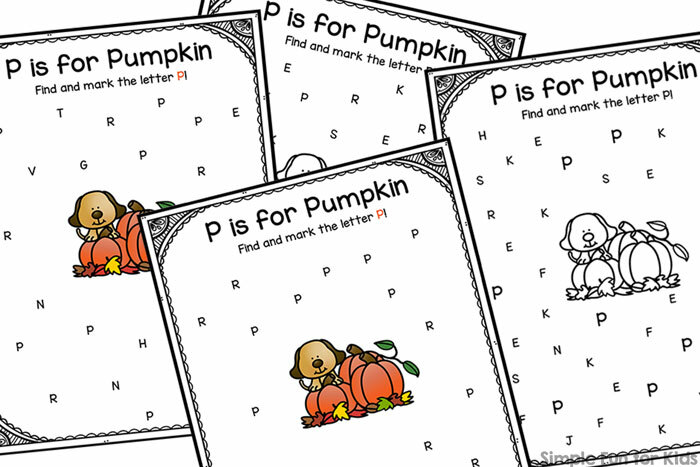 This time, we’re starting with a bit of literacy practice for preschoolers and kindergarteners: Differentiated P is for Pumpkin Letter Find. Marker, pencil, dot markers, etc. OR manipulatives. The file includes four pages of letter P letter finds. The first version uses a limited number of letters among which to find the letter P. The second version only uses the letters P and R. The third version uses many different letters, but the letter P is in a larger font than the rest of the letters. The fourth version is similar to the first but uses more letters. 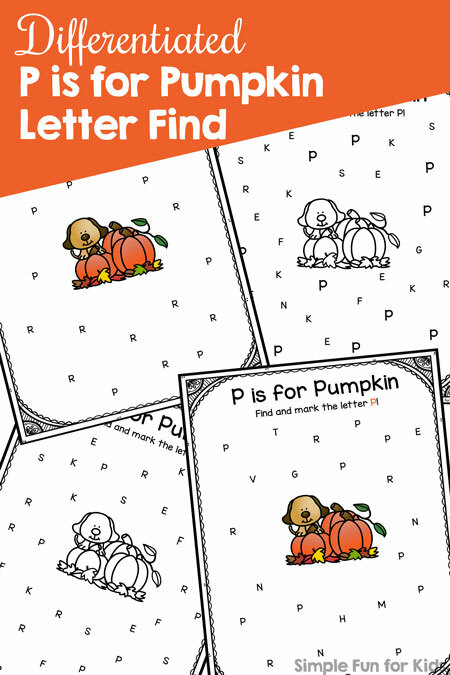 This printable activity doesn’t require any preparation, just print and start finding the letter P.
Download your P is for Pumpkin Letter Find!